Gutenberg Bible (ca. 1455), New York Public Library. On several occasions, ArtRatio have had the chance to work with dealers and collectors of rare books and manuscripts and many tell us exotic stories about their collections of Incunabula, so we decided to add a blog page on this specific topic. Incunabula (Latin for cradle) is the plural of incunabulum (English: Incunable) and refers to the early years of typographic printing which used the moveable type printing press, invented by Johannes Gutenberg in 1439. The printing press replaced woodblock printing which had been prevalent until that time in the West. Printing refers to the action of applying pressure to an inked surface resting upon a print medium, such as paper or cloth. Ever wondered where the term ‘The Press’ (a.k.a. ‘print media’) comes from? Now you know.! If you are wondering where the term ‘Fake News’ comes from, please look elsewhere.. In fact, the first-ever book printed in the West with moveable metal type was ‘The Gutenberg Bible’, shown above, printed in 1455 with a proprietary oil-based ink on paper and vellum. The invention of the printing press had a similar effect on medieval society as the Internet has had in the last 30 years: namely the democratisation of knowledge, allowing the masses plentiful access to education which had been privy only to a lucky few. Before the printing press, all books were by definition manuscripts, i.e. written or copied by hand. Parchment and vellum are both a result of treating leather, which has been used in battle armour, official documents and footwear since antiquity. In the 2nd century B.C.E., leather processing evolved to produce thinner and stronger documents which could be written on both sides, resulting in what we now call parchment. Fig. 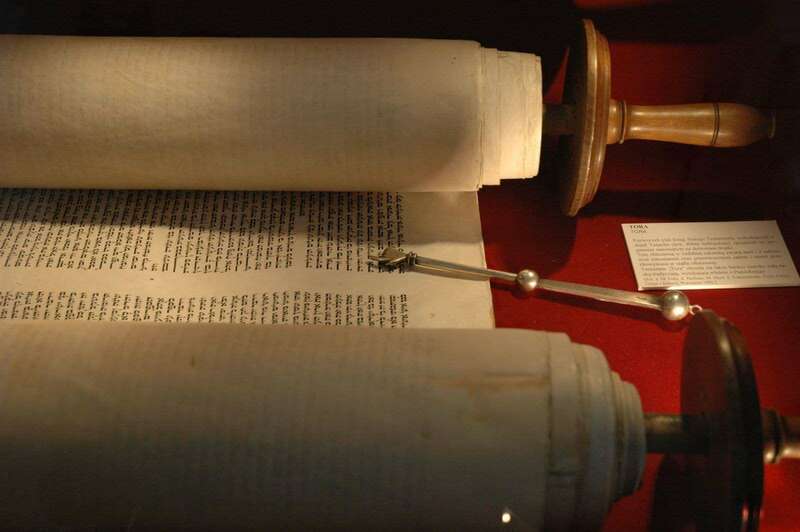 2 A Sefer Torah, the traditional form of the Hebrew Bible, is a scroll of parchment. Parchment is made from untanned skins of animals, primarily sheep, calves, and goats. This new material became the de-facto writing material of the Middle Ages, especially in Europe. Vellum is of even finer quality and is made from the skins of young animals such as lambs and calves. In general, leather is highly sensitive to hydrolysis, which results in chemical breakdown due to a reaction with water (source: BSI PAS 198). Leather loses its natural oils over time and becomes brittle and powdery dry. In humid conditions it moulds and rots. The most famous example of historic documents written on leather are the Dead Sea Scrolls. As another example, the codex (or bound form of the book), introduced in the early 7th century, featured a protective cover often made from leather over a substrate of wood or papyrus. Papyrus was eventually replaced by parchment or vellum, which were eventually replaced (due to cost and availability) by paper from the 10th century onwards, although many examples of parchment / vellum based works continued to be manufactured well into the 19th century. How does Sunlight Affect Incunabula? Sunlight, in terms of energy, is composed of 3%-5% ultraviolet, which is very damaging to all materials. However, often overlooked is the 55% of sunlight which is infrared (i.e. heat). It is infrared which increases and decreases the temperature inside a display vitrine during the course of a day. 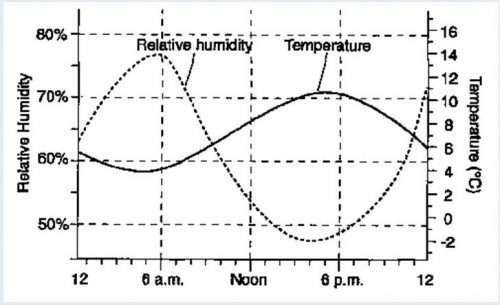 These fluctuations in temperature cause inverse changes in relative humidity (RH), such that higher temperature results in lower RH (and vice-versa). Reduced RH reduces the conductivity of air inside a vitrine (since there are less water molecules in drier air) and can contribute to a build-up of local static charge on highly insulative surfaces (such as glass and acrylic) if not properly managed. Finally, increased static charge can increase the transfer of dust and pollutants, reducing air quality inside the vitrine. Incunabula require active preservation in order to reduce the risk of damage from changes in temperature, humidity and light. ArtRatio smart glass vitrines are designed to reduce these risks by switching into a transparent state only when someone is present to view the items, thereby reducing light exposure, improving their condition and preserving the value of these beautiful specimens for future generations.